Industrial-Grade Input/Output Connectors, also known as Harsh Environment I/O connectors, sealed against dust and fluid, can endure industry environment, humidity and corrosive elements, feature vibration / impact / stretching resistant, is widely adapted in applications like Ship Equipment, Industrial Computer Systems, Solar Energy Equipment, Medical Instruments, it is good in any Harsh Environment. 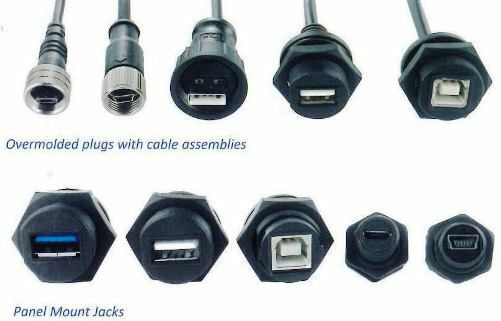 Holin offers robust and reliable Ethernet, RJ45, BNC, USB3.0, USB2.0, Mini USB2.0, Micro USB2.0, A-type HDMI, C-type HDMI , D-SUB Connector, and their extensive range of Cable Assembly at competitive price. 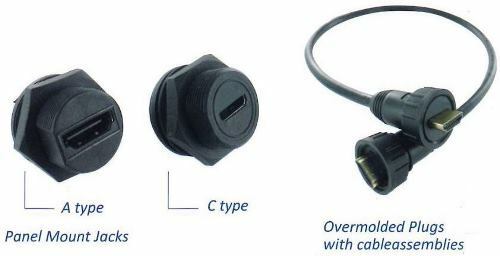 All connectors are rated IP66~68 when mated and RoHS Compliant.